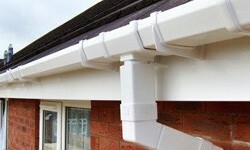 We are experts when it comes to the construction and repair of roofs, making them strong, leak proof and problem free. We have over two decades of roofing expertise behind us, making us one of the best and most reliable contractors in the Liverpool area, so call us today! Whether you want a brand new roof, a chimney repair or Velux windows installed, we will cater to your individual specifications, so you will get the roof you demand, and at a price to suit your budget. Our reliable and hardworking team of roofers are waiting for your call, and will give you a free estimate on all roof work, so get in touch today. It doesn't matter whether the job you need doing is big or small, our team will work with you to give you the roof that you want for your home within your budget. We use the best materials, and our roofers display amazing levels of craftsmanship with all rooofing jobs. Get in touch with us today on 0151 434 4910 for all your roof repairs and roof installations.